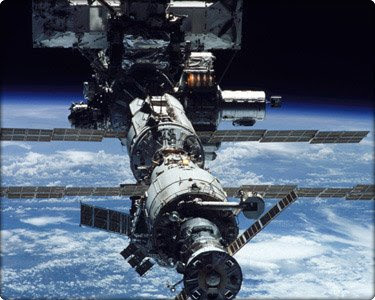 A couple of days ago Sir Dayvd wrote about the toilet in the space station crapping out. I'm sure a lot of people were thinking, "What the hell are we doing spending all that money up in space anyway?" With a Toyota Manufacturing Plant just a few miles up the road, it’s easy to find Sapporo Beer in bars around town. So, it was with great interest that I read the following article (Okay, truth be told, I really am not that interested. But, it is a beer story and we’re 33 1/3% about beer). TOKYO: A Japanese brewery Tuesday said it was planning the first "space beer," using offspring of barley once stored at the International Space Station. Researchers said the project was part of efforts to prepare for a future in which humans spend extended periods of time in space - and might like a cold beer after a space walk. Japanese brewery Sapporo Holdings said it would make beer using the third generation of barley grains that had spent five months on the International Space Station in 2006. "We want to finish the beer by November. It will be the first space beer," Sapporo executive Junichi Ichikawa told reporters. 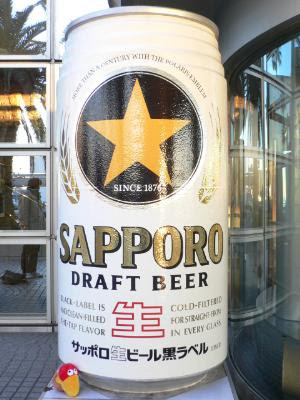 The company will have enough space grain to produce about 100 bottles of beer but has no immediate plan to make it a commercial venture, Sapporo officials said (end).